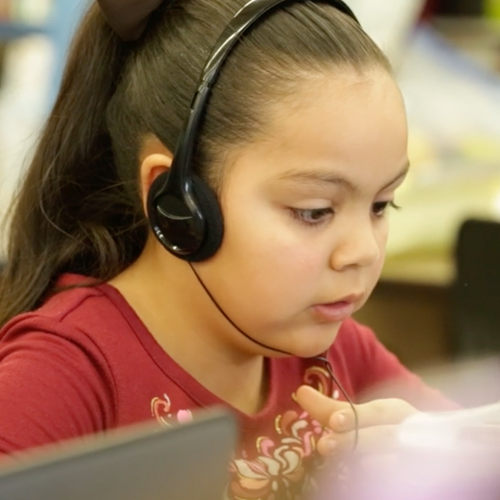 During the 2017–2018 school year, six elementary schools in a western Texas school district implemented Imagine Language & Literacy as a supplemental tool. To determine the impact of the program on student growth, scores from the 2017 and 2018 administrations of the State of Texas Assessments of Academic Readiness (STAAR®) Reading assessment were examined for approximately 224 fourth-grade users and 502 fourth-grade non-users of the Imagine Language & Literacy program. Students who used Imagine Language & Literacy logged an average of approximately forty-two hours in the program across the school year. 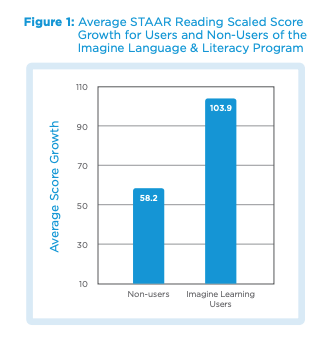 The figure below presents the average STAAR Reading scale score growth for fourth-grade students who used Imagine Language & Literacy and for students who did not use the program during the 2017–2018 school year. On average, students who used the program achieved forty-six more points of STAAR Reading scale score growth than non-users. This difference surpasses results typically observed for educational technology programs similar to Imagine Language & Literacy (Cheung & Slavin, 2012; Cohen, 1988). 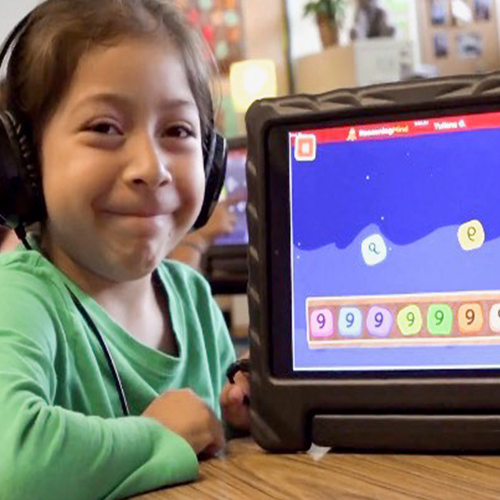 Ultimately, these results demonstrate a statistically significant positive impact for fourth-grade students who used the Imagine Language & Literacy program. The results of this study support the role of Imagine Language & Literacy as a supplementary tool for the development of language and literacy achievement. Fourth-grade students who used the program in this Texas school district for the 2017–2018 school year experienced signficant improvements in language and literacy proficiency as demonstrated by performance on the Texas STAAR Reading assessment. Given these findings, fourth-grade students who use Imagine Language & Literacy with fidelity should expect similar results. Learn more about how Imagine Language & Literacy can help your students learn and achieve. Cohen, J. (1988). Statistical power anlaysis for the behavioral sciences: Lawrence Erlbaum Associates.